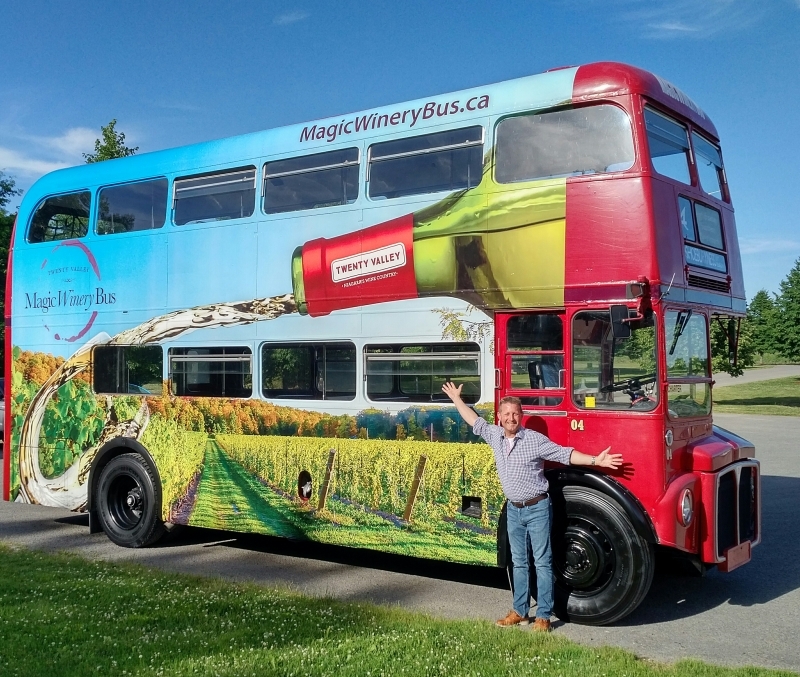 The Twenty Valley Magic Winery Bus – a classic British double-decker – will whisk you away for an incomparable day of tasteful adventure. A North American one-of-a-kind, this hop-on, hop-off excursion visits four of Ontario's best, boutique wineries. Experience firsthand Niagara's unique terroir that creates some of the most memorable wines in the world, learn a little about the region's history, and get a taste for why this region has a reputation as Niagara's hidden gem. The bus travels in a continuous one-hour loop all day. Hop off and expect to be at each winery for about an hour, with enough time to visit all four wineries.